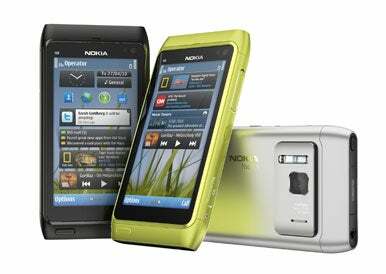 Nokia on Tuesday announced that the N8, its first smartphone based on the Symbian 3 OS, will be out in the third quarter. The N8 is Nokia’s first phone based on Symbian 3, which has an improved touch-based user interface. The Finnish company has promised Symbian 3 phones will be easier to use than their predecessors. The N8 will be the first in a family of smartphones based on Symbian 3 that will be out in 2010, according to Nokia. The N8 is a pivotal device in Nokia’s effort to make its high-end phones credible again, according to a research note from CCS Insight. Much has been made of Nokia’s deficiencies in the high-end smartphone segment because the Symbian OS development hasn’t kept up with the touch-based user interfaces offered first by the iPhone OS and then Android. However, Symbian 3 is going to change that, according to Nokia. The new OS will allow customizable home screens, support for multitouch, single tap and faster multitasking. The N8 will also provide integration with social networks. The improvements will help Nokia catch up with Apple and Android-backers like HTC and Motorola, but there is little that will set Nokia apart, according to Carolina Milanesi, research director at Gartner. Nokia’s biggest challenge will be to get users to pick up the phone and play with it, because the user interface looks just like the existing version of Symbian, which so many users dislike. It is only by using the new OS that the improvements can be seen, Milanesi said. On the hardware side, the N8 will come with a 3.5-inch touchscreen, a 12-megapixel camera with a Xenon flash and support for video recording at 720p. Other video features include an HDMI port to connect to a TV and support for Dolby Digital Plus surround sound, according to Nokia. The N8 will cost €370 (US$495), before taxes or subsidies. Originally, it was supposed to show up in stores during the second quarter. The delay was announced last week when Nokia presented its first-quarter results, which made its share price tank. Shipping the phone by the second quarter was an aggressive target, according to Geoff Blaber, analyst at CCS Insight. The delay gives the Apple and Android camps more time to develop their respective operating systems, solidifying their positions in the high-end smartphone sector, Blaber said. The Symbian Foundation, which began operating in the first half of 2009, now develops the operating system and has always said that the first Symbian 3 phones would be out in the second half of this year. Nokia continues to be Symbian’s biggest supporter.